The Christian Muslim Forum, an interfaith group, has released what it calls Ethical Guidelines for Christian and Muslim Witness in Britain (PDF). Interestingly, some more conservative Christians don’t like a couple of the provisions because they fear that it could be used to stifle criticism or even moral condemnation of spirituality that contradicts what some would call basic human rights. If you’d like to hear a spirited debate about the guidelines between a moderate Christian, a moderate Muslim, a Hindu, a Buddhist, and a conservative Christian, check out the excellent debate at Muslim, Christian, Hindu debate on evangelism. Here is my brief commentary. As members of the Christian Muslim Forum we are deeply committed to our own faiths (Christianity and Islam) and wish to bear faithful witness to them. As Christians and Muslims we are committed to working together for the common good. We recognise that both communities actively invite others to share their faith and acknowledge that all faiths have the same right to share their faith with others. There are diverse attitudes and approaches amongst us which can be controversial and raise questions. This paper is not a theology of Christian evangelism or mission or Da’wah (invitation to Islam), rather it offers guidelines for good practice. 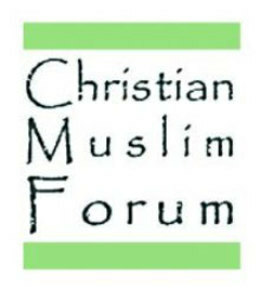 The Christian Muslim Forum offers the following suggestions that, we hope, will equip Christians and Muslims (and others) to share their faith with integrity and compassion for those they meet. 1) We bear witness to, and proclaim our faith not only through words but through our attitudes, actions and lifestyles. This is great, and a needed corrective, esp. to us evangelicals. But not entirely, unfortunately, the view that Christians are all preaching and no love is a bit of an inaccurate caricature, in fact, as the book Who Really Cares: The Surprising Truth About Compassionate Conservatismdocumented, religious conservatives give more of their time and money to both Christian and secular charities, and still provide most of the relief work and supplies worldwide. 2) We cannot convert people, only God can do that. In our language and methods we should recognize that people’s choice of faith is primarily a matter between themselves and God. “For this very purpose I have raised you up, that I may show My power in you, and that My name may be declared in all the earth.” Therefore He has mercy on whom He wills, and whom He wills He hardens. The browbeating of the Arminian approach to evangelism can be an embarrassment to the power of God and man’s need for God’s help. We ought to declare men’s guilt, but instead of commanding them to repent, tell them that God commands repentance, but if we have not faith, we need to plead to God that he grant it. 3) Sharing our faith should never be coercive; this is especially important when working with children, young people and vulnerable adults. Everyone should have the choice to accept or reject the message we proclaim and we will accept people’s choices without resentment. I totally agree with this. Cajoling (manipulating) the young and vulnerable is deplorable. I intend to teach my kids my faith, and to teach them how to decide for themselves. However, I definitely want to keep them away from those manipulative children’s camps and ministries that force a conversion. Awful. 4) Whilst we might care for people in need or who are facing personal crises, we should never manipulate these situations in order to gain a convert. 5) An invitation to convert should never be linked with financial, material or other inducements. It should be a decision of the heart and mind alone. 6) We will speak of our faith without demeaning or ridiculing the faiths of others. This is the problematic statement. What if we want to disagree? Criticize? Condemn? We should all have the freedom, nay, even the responsibility to condemn what we perceive as dangerous idiocy, the freedom to blaspheme is part of freedom of speech, whether we are blaspheming Allah, Jehovah, or gay marriage (see Hate speech laws and blasphemy laws, twin evils). 7) We will speak clearly and honestly about our faith, even when that is uncomfortable or controversial. 8) We will be honest about our motivations for activities and we will inform people when events will include the sharing of faith. This is good. No bait and switch. I hate that. 9) Whilst recognising that either community will naturally rejoice with and support those who have chosen to join them, we will be sensitive to the loss that others may feel. Um, I guess it goes without saying that gloating over converting someone from another religion is not mature? LOL. 10) Whilst we may feel hurt when someone we know and love chooses to leave our faith, we will respect their decision and will not force them to stay or harass them afterwards. I am sure that this is mainly aimed at Muslims who want to kill their children for leaving the faith. But we should all be graceful to those who feel they need to explore for truth elsewhere.